Can help you clear your water lines completely. Simply screw plugs into the city water inlet, open a.. Allows flushing and preparation of your inboard/outboard engine for winter storage with just five ga..
Can be used to pump antifreeze directly into your boat water lines and supply tanks through the fauc.. Requires a simple temporary hook-up for winterizing. Remove in the spring and reconnect system. Soli.. 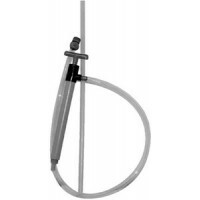 Simple, permanent installation of this kit allows you to easily drain your water heater for winteriz.. 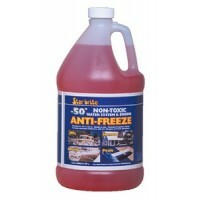 Highly concentrated fresh water anti-freeze with the same properties as Winter Ban -50° except it wi..
Brass. Bulk pack. Size: 1/4"..
Brass. Bulk pack. Size: 1/8"..
Two products in one. 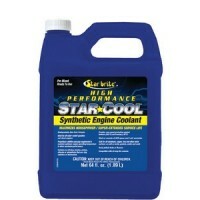 Ideal product for winterizing both marine engines and fresh water systems. Corr..
A single-phase, Ethylene Glycol based, extended life, universal engine coolant based on a unique ext..
Extended Life Coolant/Anti-Freeze is a "fill for life" Ethylene Glycol based coolant for heavy-duty ..
Cyl block drain tap 829592 Application: Cylinder BlockSize: 1/8" NPTOE#: Volvo 829592.. Drain tap cyl.blk.vp82744 Application: Cylinder BlockSize: 1/8" NPTOE#: Volvo 807036.. Drain tap cylinder block 8073 Application: Cylinder BlockSize: 10 x 1OE#: Volvo 807036.. Drain tap Application: Cylinder BlockSize: 1/4" NPTOE#: Mercury 22-16951A1, 22-16951Q1, 22-16951T1; ..
Draincock 1/4npt Application: Cylinder BlockSize: 1/4" NPTOE#: Mercury 22-16951A1, 22-16951Q1, 22-16.. 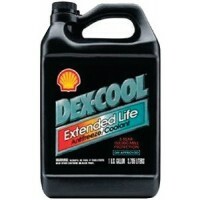 Compatible with all antifreezes including orange Dex-Cool. Lasts for 5 years or 150, 000 miles. Prot..
Protects water systems & engines from freeze ups during storage. 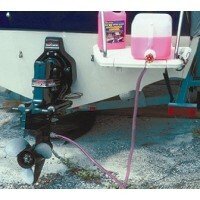 Use in boats, RV's, vacation homes,..
Winterizing kit quickly and easily adds antifreeze to inboard and outboard engines. Kit will also de.. 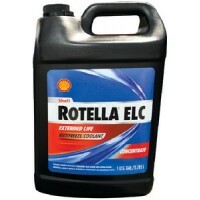 This ready-to-use, biodegradable, non-toxic propylene glycol formula contains no nitrates, borates, ..